The Lenco-MD is a new Kickstarter project that tries to bring back the vinyl record player to the modern world. 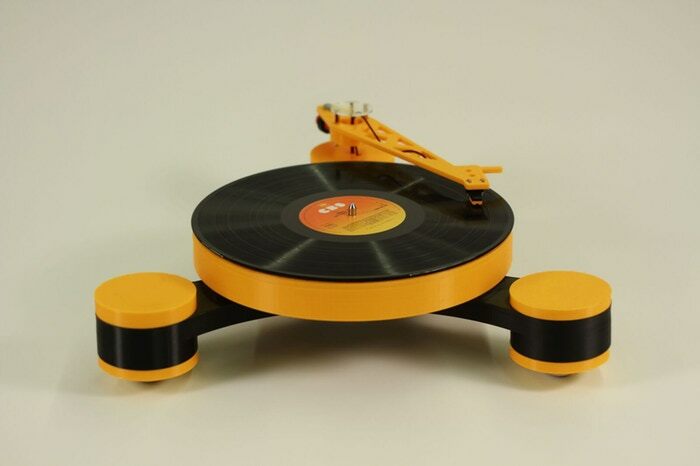 It features a classic Lenco record player’s design but it consists of components that you can 3D print and put together yourself. What’s better is that the Lenco-MD has swappable feature modules that attach to one of the three legs and that allow you to customise the device’s functionality. For example there’s a bluetooth module for enabling a bluetooth connection or a solar module to have the Lenco-MD run on solar power. As a maker you can also create your own custom modules, so you can personally craft the world’s greatest record player.